A non-fiction pick for #CJSReads - not in our usual wheelhouse so a bit of mixed reviews but overall a fantastic true story of espionage, intrigue and the cat and mouse play between an FBI agent and his worthy adversary. 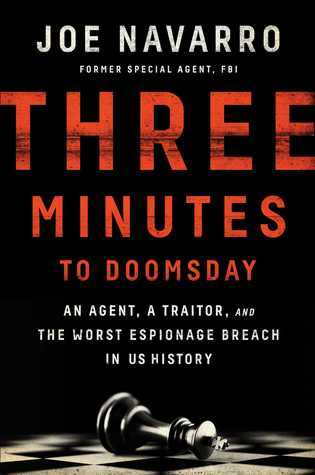 An intense cat-and-mouse game played between two brilliant men in the last days of the Cold War, this shocking insider’s story shows how a massive giveaway of secret war plans and nuclear secrets threatened America with annihilation. In 1988 Joe Navarro, one of the youngest agents ever hired by the FBI, was dividing his time between SWAT assignments, flying air reconnaissance, and working counter-intelligence. But his real expertise was “reading” body language. He possessed an uncanny ability to glean the thoughts of those he interrogated. So it was that, on a routine assignment to interview a “person of interest”—a former American soldier named Rod Ramsay—Navarro noticed his interviewee’s hand trembling slightly when he was asked about another soldier who had recently been arrested in Germany on suspicion of espionage. That thin lead was enough for the FBI agent to insist to his bosses that an investigation be opened. What followed is unique in the annals of espionage detection—a two-year-long battle of wits. The dueling antagonists: an FBI agent who couldn’t overtly tip to his target that he suspected him of wrongdoing lest he clam up, and a traitor whose weakness was the enjoyment he derived from sparring with his inquisitor. Navarro’s job was made even more difficult by his adversary’s brilliance: not only did Ramsay possess an authentic photographic memory as well as the second highest IQ ever recorded by the US Army, he was bored by people who couldn’t match his erudition. To ensure that the information flow would continue, Navarro had to pre-choreograph every interview, becoming a chess master plotting twenty moves in advance. And the backdrop to this mental tug of war was the dissolution of the Soviet Union and the very real possibility that its leaders, in a last bid to alter the course of history, might launch a devastating attack. If they did, they would have Ramsay to thank, because as Navarro would learn over the course of forty-two mind-bending interviews, Ramsay had, by his stunning intelligence giveaways, handed the Soviets the ability to utterly destroy the US. 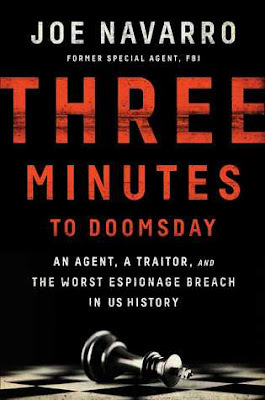 The story of a determined hero who pushed himself to jaw-dropping levels of exhaustion and who rallied his team to expose undreamed of vulnerabilities in America’s defense, Three Minutes to Doomsday will leave the reader with disturbing thoughts of the risks the country takes even today with its most protected national secrets. I am a sucker for a great political thriller! At first, I had no idea this was nonfiction. It doesn't read like the typical dry and overly analytical nonfiction history/political books. Joe Navarro does an amazing job telling the story of an incredible cat and mouse game between him and a "person of interest" in espionage during the end of the Cold War. An agent, a traitor, and the worst espionage breach in US history. We follow FBI Agent Joe Navarro coming to the end of the Cold War. In his interrogations with former American soldier Rod Ramsay, he begins to suspect espionage, all because of a shaky hand while performing a basic task. What follows is a two year long game of cat and mouse between agent and traitor. He tells the story as it unfolds - just like a work of fiction would read. We get a front row seat in how he interrogates Ramsay without raising suspicion and how he went about opening a case on him. The tensions between the Soviet Union and the US were crazy and with this kind of espionage breach could have meant the complete destruction of the US. Overall, I was incredibly impressed with this book. If I wouldn't have looked it up, I probably wouldn't have known it was nonfiction. I will say, if you aren't a fan of politics or nonfiction, maybe skip this one. But I LOVE this kind of stuff. My senior project for my undergrad was espionage in the Cuban Missile Crisis. 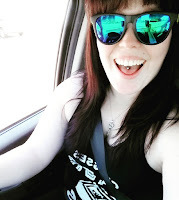 So this was right up my alley! 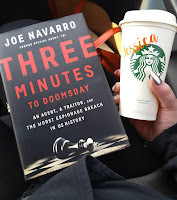 Three Minutes to Doomsday, a nonfiction book following a cat and mouse game between FBI agent, Joe Navarro and a former American soldier turned spy, Rod Ramsey, was a completely different read than what I would choose for myself. But, in the name of #cjsreads, I gave it a try! 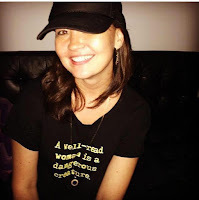 The novel opens with FBI Agent, Joe Navarro, on the lead of a man (Rod Ramsey) they believe is connected to an American soldier, acting a spy, near the end of the Cold War. What begins as a regular interview turns into an intense psychological battle after Navarro notices a shaky hand in the midst of a menial task. He knows that Rod Ramsey is lying. This one, ironically, read a bit like fiction. Navarro’s narrative voice seemed like he was telling a story, similar to most of the first person fiction books I read. Perhaps it was because this novel was part memoir, part autobiography and part historical text. I have always been interested in profiling (Criminal Minds anyone?) and I found that Navarro used these techniques through his interviewing. What starts as a typical case, turns into something more complex as Navarro must use his wits to outsmart his suspect. The relationship that is built between these men was truly fascinating. I found this to be incredibly fast paced until about the half way mark. I began to become extremely frustrated with this novel. It was taking too long; but then I realized, that was the point. This novel has an uncanny ability to make you feel as if you are in the midst of the investigation. I’m sure these were the exact emotions that Navarro was feeling as he tried to get a confession. Overall, although this is something I wouldn’t read on my own accord, I feel like lovers of spy authors (think Vine Flynn and Tom Clancy) would devour a novel like this! 3/5 stars. I won't bore you and regurgitate the synopsis for this one - the title says it all (but if you really want to know, go to my blog and it'll be posted there). So let's just get into it, shall we? I'm not a big non-fiction reader, nor do I care for history, historical fact, the past, etc. etc... so why would I ever pick up this book then since they are both?? Because it's so damn intriguing! Behavioral analysis and profiling? Check! FBI agents? Check! Espionage? Check! Intellectual cat and mouse tug of war? CHECK! What's not to like? And to think that this is a TRUE story is fascinating... and utterly scary. This book read like a novel. I had to repeatedly remind myself that this was real, the author actually lived what I was reading. To be in his mind and see how he choreographed and dueled with the highly intellectual Ramsay was extremely impressive and made me realize that's a job I would never be cut out for! Thank goodness for the likes of Mr. Navarro and the every day people in that field who have the cunning ability to help this country (for the greater good). If you love spy novels, non-fiction and want a peek inside the mind of this brilliant man and read his story of the worst espionage breach in US history, then I highly suggest you pick this book up and give it a go.